Suppose I told you I had found a radio station that I had listened to for over a decade, and that in all that time it had never repeated a track? Or that this station had inspired me to many new artists and album purchases, and helped me discover tracks from well known artists so long buried and forgotten that I barely remembered them. Would you believe me? Of course, there is no radio station that good . . . even the best repeat their tracks over the weeks, while the worst have a handful of tunes on 2 hour rotation. But there is a place, on the streets, rather than the dial, where I have had this experience . . a backstreet barber – one of those small little havens of masculinity in an increasingly feminised retail zone that is the modern city centre.. There are many of these, often noted for their haircutting or conversational skills, but seldom for their musical depth, but Jack’s is different. Hidden down a back alley running between Camden and Harcourt Streets, I first discovered Jack’s Barbers way back in 2001, when I was working in Phantom FM, then still a pirate station, based above Wheelans of Wexford Street. Needing a haircut one day, I spotted the barber’s pole down a little sidestreet almost opposite our studio, went in on a whim, and have been a regular ever since. The haircuts and general barbering is well up to standard, and the staff are fine, but it’s the music which keeps bringing me back. There is musical memorabilia all over the walls, but that can be found anywhere. No, it’s the music they play that makes each visit a new adventure. Most barbers or hairdressers will play generic pop or the safest commercial stations, but Jack’s plays its own selection of music, and it is never, ever, the same. If you visited once, you might think this was a shop where a eclectic brand of lesser known reggae was the thing, but a second visit would give you fresh indie rock, soulful jazz, R&B, bluegrass, classical or perhaps vintage pop, or mixtures ranging across all of those and more. I literally never know what I am going to hear when I walk in the door, and once heard, I have never, ever heard the same selection or tracks again, no matter how many years worth of visits I clock up. And it’s not some vast library lumped onto an iPod and left to shuffle – far from it. On any given visit the music has obviously been crafted not as a series of tracks, but as an musical arc of mood, theme, style, genre, or aspect. Time and thought has been put into the selection every time. I have made many purchases in iTunes which were the result of my enjoying something so much in Jack’s that I have committed a few lyrics to memory, so I could Google them later, discover the artist, and buy either the track or more often a whole album. I rarely come home from Jack’s without some kind of musical reward in my head. Quite often they are new to me, but sometimes, as with my visit yesterday, they are old, old pieces of music, so long unheard by me that they had passed entirely out of my consciousness. (yesterday’s gem was Madame Butterfly by Malcolm Maclaren). And they do a damn fine haircut too. 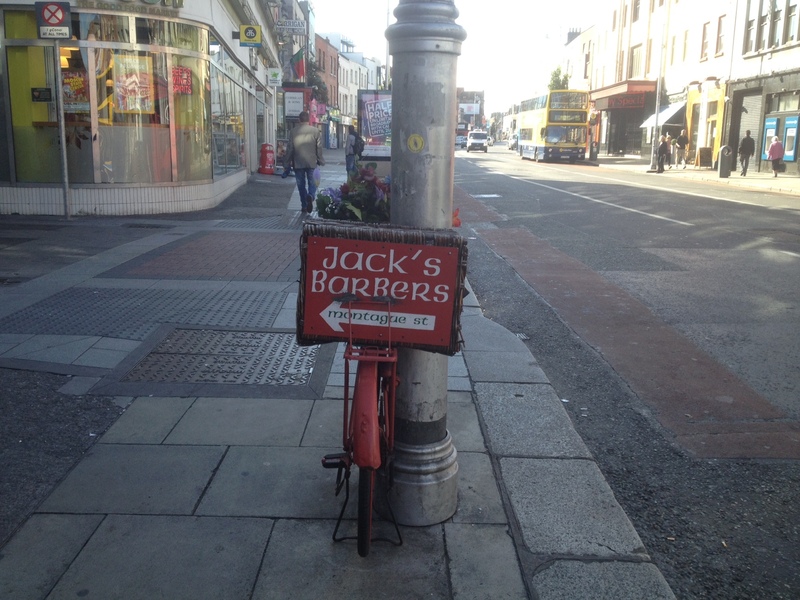 Jack’s Barbers is at Montague Street, Dublin 2. I’m taking a break from my break (!) to fill in on 8Radio.com this morning, 11am to 2pm Sat 14th September 2013. 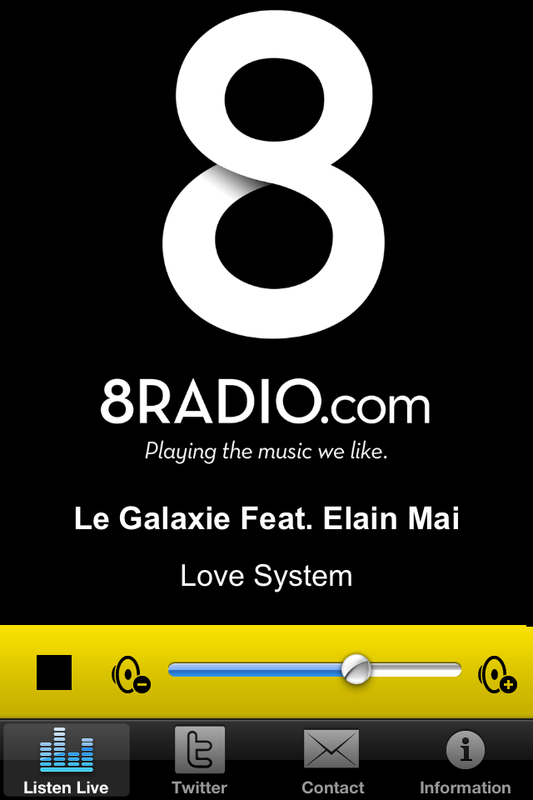 Join me at 8radio.com if you fancy some great tunes. I’ll be making a more fulltime return to radio shortly – stay tuned!